How to get from Kuala Lumpur Airport to city? There are 2 airports in Kuala Lumpur – KLIA and Sultan Abdul Aziz Shah airport. KLIA is the main international airport in Kuala Lumpur, and it has 2 terminals – KLIA & KLIA2. Sultan Abdul Aziz Shah airport used to be KL’s main airport before KLIA was built. It is still operational but not so popular. KLIA mostly is used by full service airlines, such as Air France, KLM and Emirates, whereas KLIA2 is used by low-cost airlines, such as AirAsia and Tiger Air. KLIA and KLIA2 are located close to each other, but around 37 miles / 60 km from the city center. However, getting there is easy and mostly isn’t time consuming. 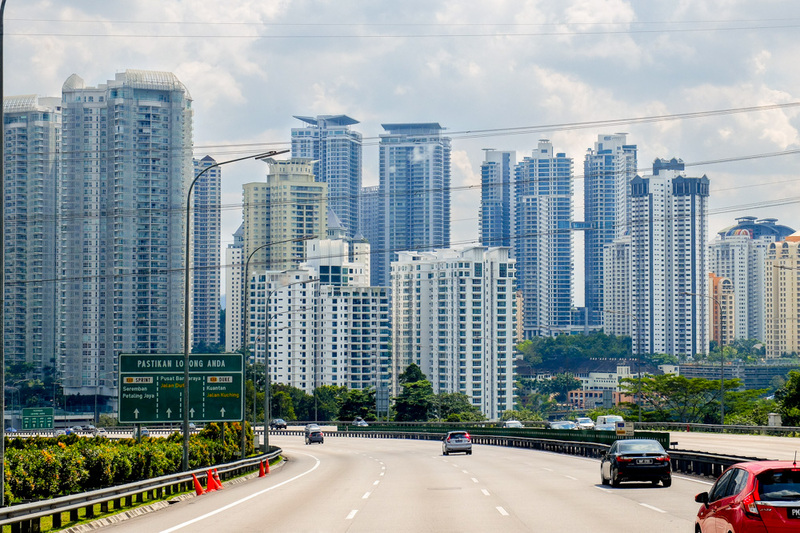 Read on to learn how to get from Kuala Lumpur airport to city center. 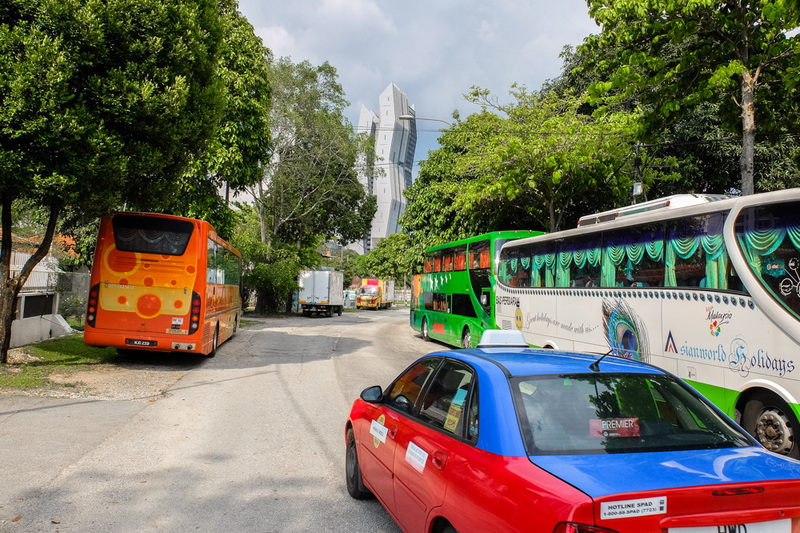 There are two types of taxis in KL – red budget taxis and blue executive (premier) taxis. A ride from the airport to KLCC (Petronas Towers) in a budget taxi will cost you around RM 100. It’s a good option of you are traveling with someone. Because it’s gonna cost you less than taking the airport train. But be prepared that most probably it will not be the fastest way of getting to the city center, and your hotel. To book a cab head to the prepaid taxi counter and buy a coupon there. Taxi counters can be found at Transportation Hub on Level 1 in KLIA2, and on Level 3 in KLIA. Getting to the airport by taxi also is easy. You can get a taxi to KLIA and KLIA2 from anywhere in the city. Or you can use Grab app. The latter most probably will be a cheaper option. There are two types of trains going from / to the KLIA and KLIA2 terminals. KLIA Ekspres is a non-stop train connecting KLIA, KLIA2 and KL Sentral train station in Kuala Lumpur. The journey takes 28 minutes. Frequency – every 15 to 20 minutes. 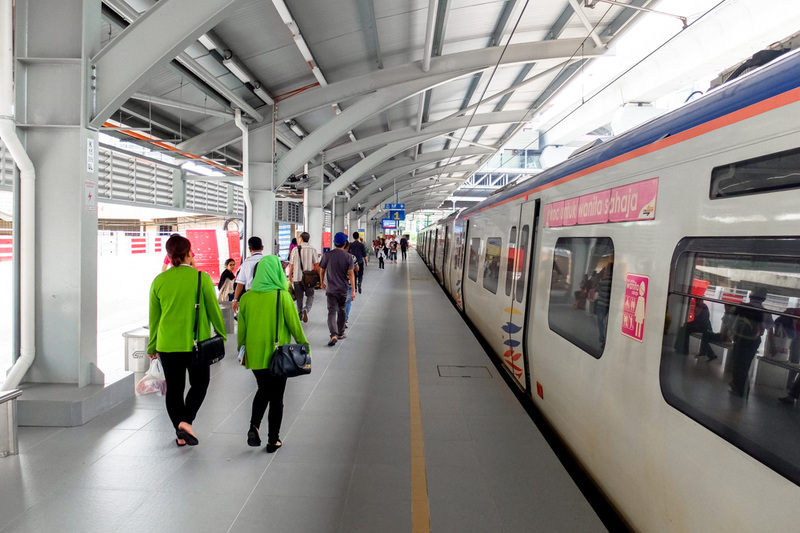 KLIA Transit is a commuter train that shares the same tracks with the KLIA Ekspres, but the KLIA Transit has more stops than the express airport train. 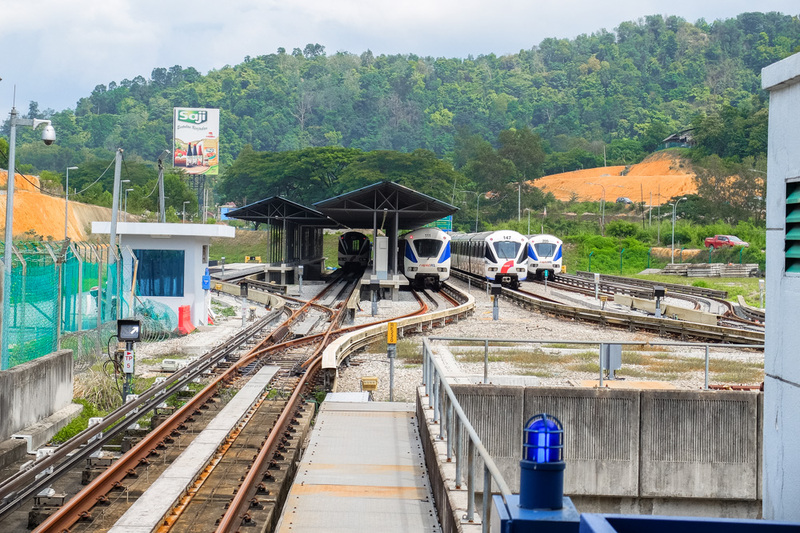 It departs from KLIA2, and it stops at KLIA, Salak Tinggi, Cyberjaya/Putrajaya, Bandar Tasik Selatan (the main bus terminal in Kuala Lumpur) and KL Sentral. The journey takes 36 minutes. 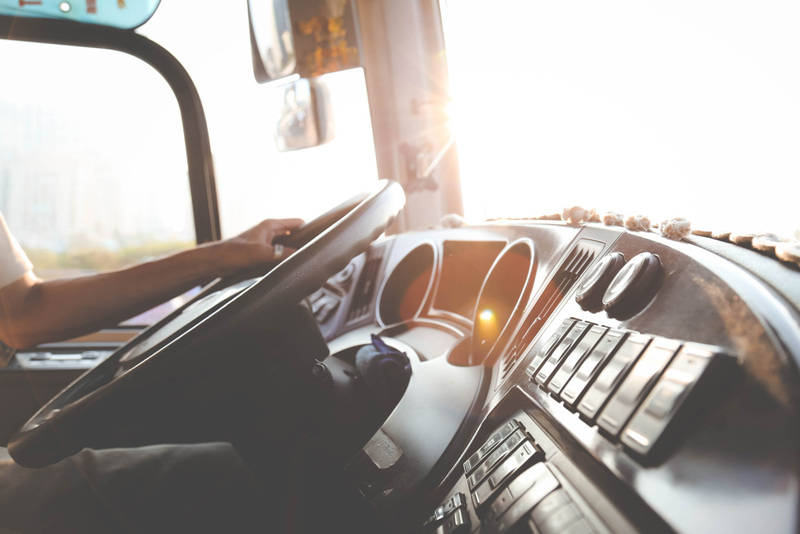 Frequency – every 15 minutes during peak hours, and every 30 minutes during non-peak hours and weekends. The KLIA Ekspres and the KLIA Transit tickets cost RM 55 one way, and RM 100 return. KLIA Ekspres and the KLIA Transit boarding platforms are located on Level 1 in KLIA, and in Gateway@KLIA2 mall in KLIA2. Tickets can be bought at a counter or from vending machines in KLIA and KLIA2. KLIA Ekspres tickets can also be bought online. Bus is the cheapest way to get from Kuala Lumpur Airport to city. But it’s also more time consuming than the train. Having taken it more than 10 times I can assure you, that it’s a comfortable journey. Only longer than if you travel by train. It takes at least one hour to get to the city. And it can be longer during the rush hour. In KLIA the airport bus stop is located on the ground floor in Block C, a few minute walk-away from the Arrivals terminal. The airport bus connects KLIA and KL Sentral train station. The bus from KLIA2 to KL Sentral departs from the Transportation Hub on level 1. Just follow the signs to find the bus stop. Tickets can be purchased at the counters which are located next to the bus stops. There are a few companies operating in KLIA and KLIA 2. Ticket usually costs around RM 10 or RM 11 one way. Some companies also sell return tickets, and they are usually cheaper than two single tickets bought separately. Tickets can also be bought online (for example, Airport Coach from KLIA, and SkyBus from KLIA2), and when booking AirAsia tickets online. Since there is a bus from KL Sentral to KLIA2, getting back to KLIA2 and KLIA from city is the same as easy. Go to KL Sentral train station. Buses are available on the lower ground floor of the station. Tickets can be bought at a counter there. Bus from KL Sentral to KLIA and KLIA2 is cheap – from RM 10 to RM 11 (depends on a company). Buses to other destinations both in and outside KL are available in KLIA and KLIA2 terminals. From KLIA and KLIA2 you can get also to Ipoh, Melaka and Johor Bharu (a city just a few kilometers from Singapore). Sultan Abdul Aziz Shah Airport (a.k.a, SZB, Subang Airport or Subang Skypark) is located in Subang, Petaling District, 16 miles / 26 km from the city. 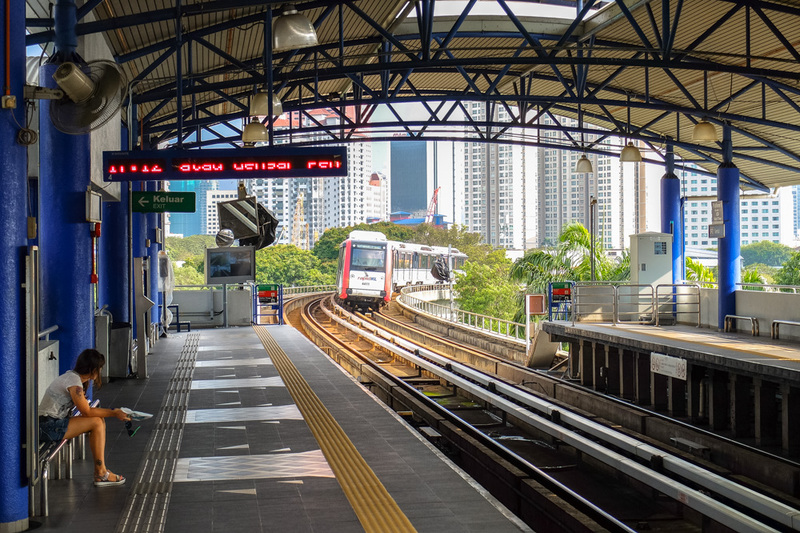 The easiest way to get there is to take the direct SkyPark Link train (a brand new line, since May 2018) from KL Sentral station. The train number is 10, and it is coloured brown on rail maps. Travel time is 30 minutes, and the ride costs RM 15 one way. Trains run every hour or every 180 minutes, depending on the time of the day. The tickets can be bought at a counter or from a vending machine. The cheapest way to get to SZB is to travel by a Rapid KL bus No. 772 from Pasar Seni. Ticket costs around RM 3. Kuala Lumpur Light Rail Transit (LRT). Sentul station. Free shuttle bus. Unfortunately, I don’t know how this really works. One time we stumbled upon this bus, and took it from KLIA2 to KLIA. We didn’t pay and we didn’t get any coupon, and no one on the bus asked us to show anything. However, now I read that you need to register before using the free shuttle bus service. Also I’ve read other travelers’ reviews, and they said they also didn’t register, and no one asked anything. So, I guess, if you want to use free shuttle bus service head to the airport information desk or to the free shuttle bus counter which is located in KLIA’s Main Terminal Building and KLIA2’s Arrival Hall and ask there. The bus ride takes around 20 minutes. KLIA Ekspres and KLIA Transit trains. The ride takes only a few minutes, and costs RM 2. Airport Liner bus. The bus ride takes around 20 minutes, and costs from RM 1.5 to RM 3 (depends on a company). Taxi. The ride costs around RM 20. However, I don’t recommend traveling between KLIA and KLIA2 by taxi because the queue to the taxi can be long. That’s why it’s much better to take a train / bus. Anything else you would like to know? 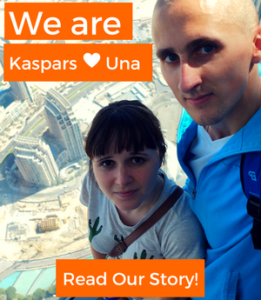 Ask in the comments or get in touch with us. What to do in Kuala Lumpur? Check out this list of 30 interesting places to visit in KL. 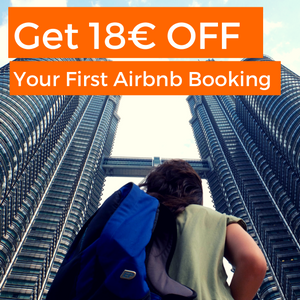 If you still need accomodation in Kuala Lumpur, we’ve got you covered. 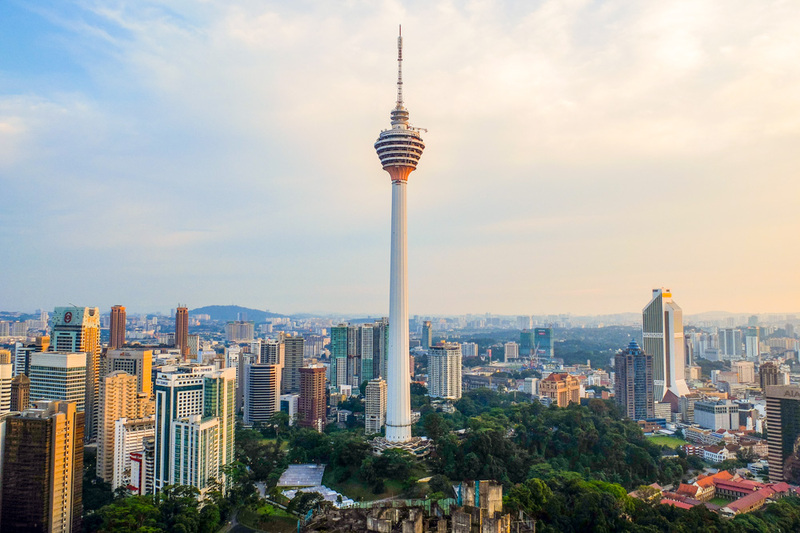 Here are some of the best affordable hotels in KL, and here some of the best hotels with great views in Kuala Lumpur.